Change is constant in today’s healthcare provider environment. As case reimbursements and patient revenue continue to decline while costs rise, health systems are wisely reinventing their Supply Chain programs to help stem the tide. Prodigo assists Supply Chain departments by combating the cost impact of operational inefficiency, errors and inflationary acquisition costs in healthcare by driving supply chain standardization, contract utilization and price compliance from the front-end of the Procure-to-Pay process. 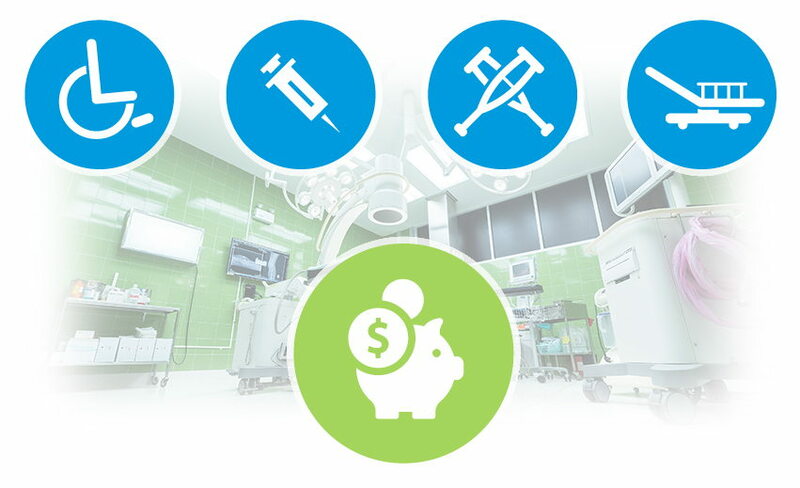 Prodigo saves a hospital system an estimated 5-8% on every dollar of spend under management. For a typical IDN, this translates into $12-15M of cost savings. Prodigo’s Solution Suite consolidates all the organization’s source-able spend for Supplies, Purchased Services and Capital into a single, compliant procurement workflow. Prodigo’s directed buying experience gives supply chain more control over what is purchased and where its purchased by directing users to the preferred sources of supply. Prodigo directs more purchasing activity to active, valid contracts to increase the realization of negotiated cost savings as well as ensure that each purchased product or service is approved for use within the organization. Reducing the risk of rogue spend from the supply chain improves patient safety by eliminating non-approved products from the clinical episode. It also reduces overall supply chain acquisition costs. Hospitals experience substantial variation in prices paid for supplies and products. Healthcare pricing is complicated and confusing, with built-in distractions such as rebates, bonuses, and tiers – leaving hospitals with the need to monitor prevailing market pricing. Prodigo enforces price accuracy + contract terms across the Procure to Pay [P2P] process; reducing the risk of pricing errors and price variances across the supply chain requesting locations. Operational Efficiency – 5-10% of supply chain costs occur by manually managing and using information in the supply chain. Improving data quality – accuracy and completeness of data – improves transparency across the supply chain. Full Transaction Lifecycle Automation [REQ to Invoice] – reduces Supply Chain transaction costs by eliminating paper-based, manual processes in the P2P cycle [yields greater than 70% reduction in transaction processing cost – from $36.51 reduced to $3.47. Directed Buying Experience – helps users more quickly perform supply chain functions giving them more time for patient care. Standardize formulary management – consolidate physician preferences supplies to standard contracted items. Risk mitigation – reduce clinical variations in the patient episode of care by ensuring that all items/services are approved for use.